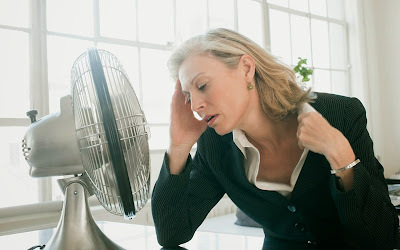 Menopause is the phase of struggling. During which the body goes through many processes and it affects your health and mood. Many times women feel uncomfortable during goes out. Intake of Fiber: If you have severe pain in the abdomen during menopause and also complain of constipation then you should increase the intake of fiber in your diet. Eat more salads. Drink plenty of water. You should contact a doctor in case of too much pain. Drink Enough Water: Drink enough water during the day. It will solve problem occurring in the stomach. Do not drink alcohol at all. Avoid smoking. You can prefer coffee or tea twice a day. Do not skip Meals: Do not stop eating when you get pain. Often you face gaining weight problem, so women do not eat much food and they think their weight will increase however the reason behind is the different. Therefore, you should eat proper at the right time. Take Calcium Supplements: Get plenty of calcium in your diet. This will avoid the problem that occurred during the menopause. Take a walk or work: During menopause do not sit ideally. Do you routine work and take a walk every day. You should take at least 10 minutes walk. Meditation or Respiratory Related Exercises: During menopause women who do not get sleep they should do meditation and respiratory related exercises. It gives them relief. Do not drink coffee or tea before bed time. Keep control on your mind. Think positive and give time to family. Keep yourself more and more busy. © 2010-14 Ayurveda Home Remedies All Rights Reserved. Designed By MyThemeShop. Blogger Theme by BlogTipsNTricks.